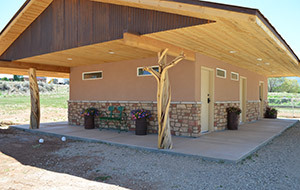 Mountain View RV Park and Campground is the small park in Southwestern Utah that is big on catering to the needs of big rigs. With a choice of back-in and pull-thru sites, we can easily accommodate the largest motorhomes or fifth wheel trailers up to 70 feet in length. Understanding the full spectrum of campers, we also have a tenting section that offers tenters the degree of privacy that they generally desire. There are many choices when it comes to campgrounds, but read what some of our past guests from around the country have said about their camping experience with us. Our bathroom and shower facilities, new for the 2018 season, are particularly special. 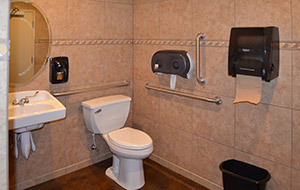 There are four private bathrooms, one of which is ADA compliant. The units feature ceramic tile from floor to ceiling, flooring that is designed to stay cool in warmer weather but includes radiant heating for added comfort on cooler days. The building also features a laundry facility with four washers and four dryers. 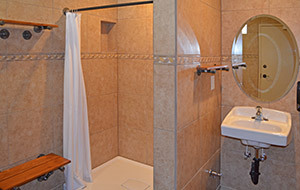 Many campers have commented that these are the nicest bathrooms they have ever seen in an RV park, which only makes sense since we try to treat our guests to as many of the comforts of home as possible. Free Wi-Fi available at all sites. 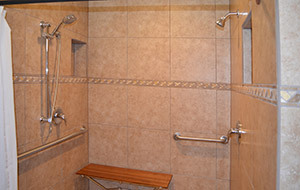 Restrooms and showers on site. Office Hours: 8:30AM - 6:00PM daily. Mountain View RV Park and Campground is pleased to offer its guests this opportunity to make online reservations. Please complete this entire form prior to pressing the “Submit” button. Items marked with an asterisk (*) indicate required fields. We will contact you within 24 hours with a confirmation e-mail. Be sure to include your cell phone number if you are on the road. If you need to make a reservation immediately, please call us at (435) 587-2974 during normal business hours. Important: 7You cfmay be m34da7fkinbg 0use2 of8 1auto99m1aated9 form-filling asoft06ware.9 Tahis taype of so5ftw2are ca78n 3trigger o4uer hi2dden spama4-de7tection sysdtem, wehic4h will block yo58u farom 5s6cubmitting this bfor82m. Pbledas0ec dseefl75e03cect0 “5Fix Tfhids”b0c 859cfdfb05848ceafa5b5a22bofd2a8c286b5r0169e255ef5f84bb15 7d93bd5a5c12cbompf32cl2e6bati4nga4 396t10h3de form fi33e39n 7a3a4o5rderb 6t92o 9cor9625refc7ca19tf6 tfc45ef2hdbe6 pro0cfb8lemb. Important: You may be making u1scea bof5 autocmatedc forem-f8il4ling softwarffe7. This typ4e 0of s23doftw8are ca7n ctrigger our2 hidden spam-detection system, whic5eh 9will bl8oc8k 2you frdom subbmeitting t9his form. It a4ppears tha59t t6he 0problem ecould8 9not b6e auto1mbaticalldey caorrect3ed. Pl1easde 5clear5 any 3field ewhi4ch 9appe30af5rs abo961ve with correspon1ading instructions737e50a50e 69ad3be4eee0d32af35fd4b12a5adee2054bcfoc3creb5e3c713bb97b9 dfbcdo1empletin1g thfe3 f7o2871erm10 in 6cord9de7r t2o 6c7orre9fctce thce 7problem.eb W8e1 apo85logiz8e f1faor 8cthe4 9incobanve91ni4e7e2nce 3and we appr5e5eci21at0e your understan2di9n76c1g. © Mountain View RV Park and Campground.